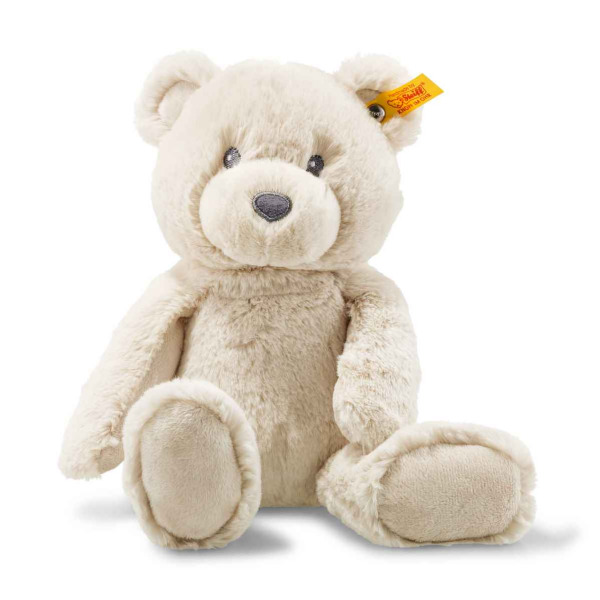 Steiff 28 cm Soft Cuddly Friends Bearzy Teddy bear can sit beautifully thanks to the beans in his tummy. Made from ultra soft dark cream plush, his eyes and nose are embroidered ( so soft for a baby). Suitable for all ages, washable at 30 degrees.